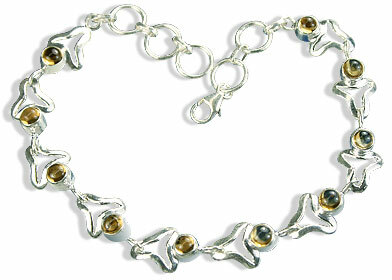 A gorgeous collection of silver citrine bracelets with a huge variety of designs in the sparkling golden yellow citrine gemstone. 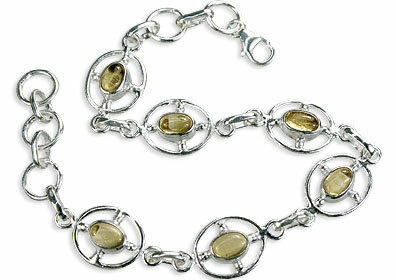 Check out our citrine bead bracelets or the artisan handcrafted citrine silver bracelets at the most reasonable prices. 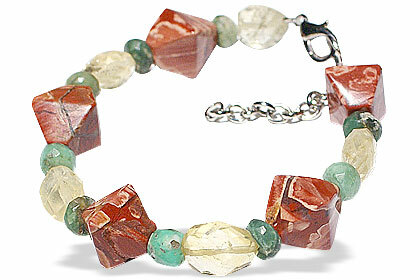 We always strive to share with you the mind boggling beauty of these natural gemstones. 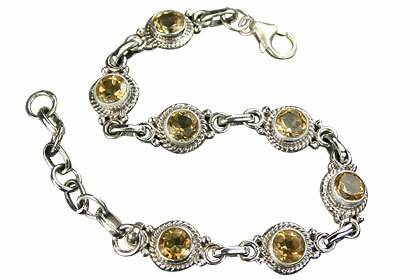 Citrine is believed to be associated with prosperity and success. 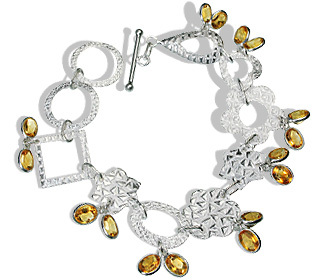 The deep yellow hues make citrine worthy of royalty. 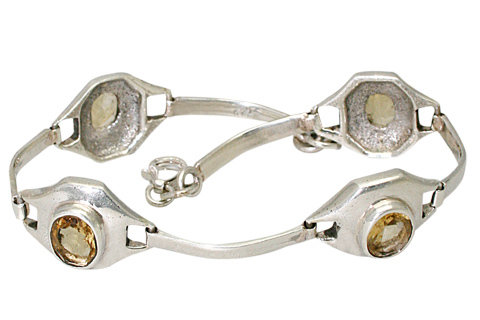 More about Citrine: Citrine is a gemstone which has been used in Greece since the Hellenistic period (end of the 4th to the end of the 1st century BC). 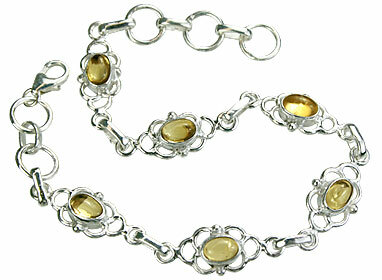 The name citrine is derived from the French word citron, which means lemon. 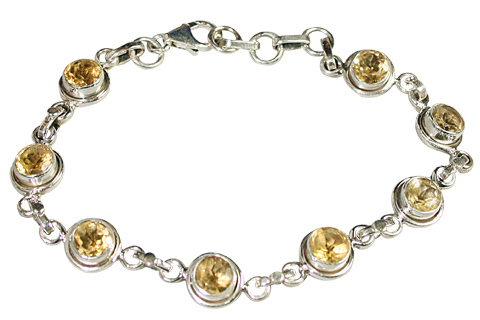 Citrine is found in pale yellow to orange in all of its glorious golden and yellow colors. 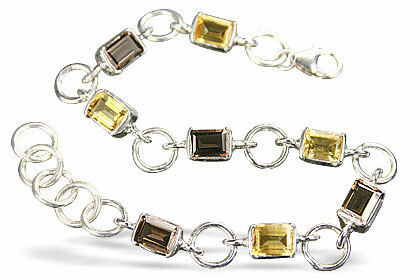 The yellow color is from the presence of iron, and the darker the color the higher the grade. 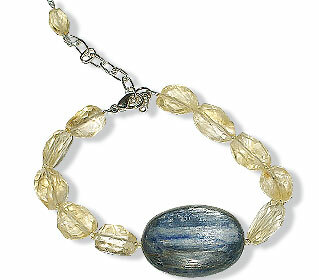 SiO2 Citrine is transparent, coarse-grained variety of the silica mineral quartz. 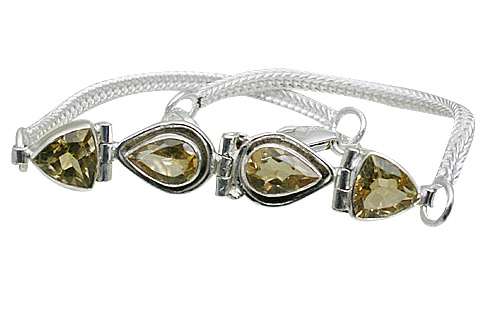 Citrine is a semiprecious gem that is valued for its yellow to brownish color and its resemblance to the rarer topaz. 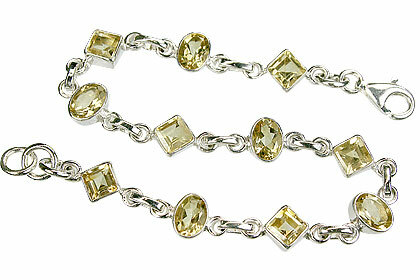 Natural citrine is rare compared to amethyst or smoky quartz, and both of these are often heated to turn their natural color into that of citrine. 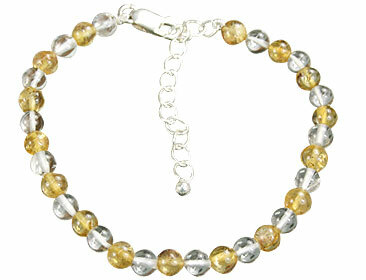 Citrine is a stone of success, prosperity and regeneration. 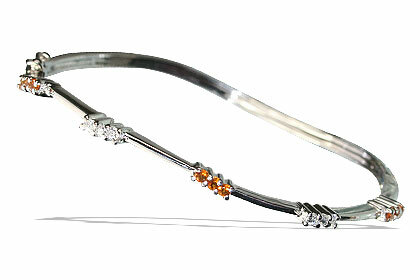 It Induces confidence and optimism in family and business relationships. 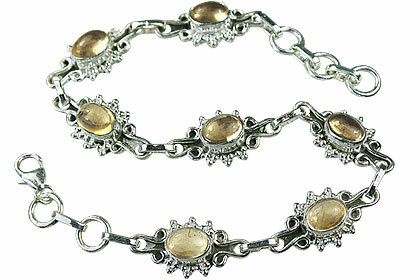 Attracts self-worth, activates mental powers, flushes emotional blocks and opens up a new lease of life. 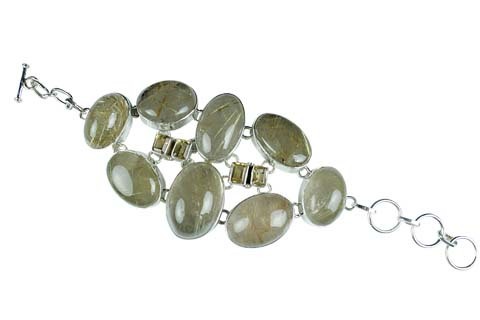 The stone not only helps acquire wealth but maintain it, because it vibrates to prosperity in all its forms. 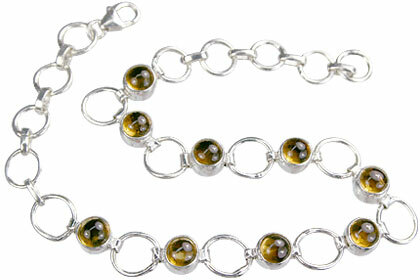 Physically, it aids digestion and eliminates toxins from the endocrine and digestive systems. Improves poor circulation, tissue regeneration, and fortifies immune system. 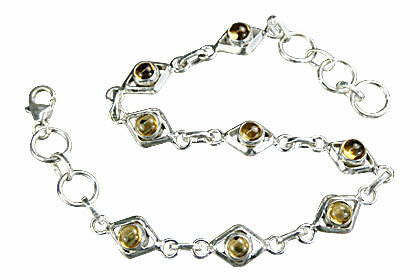 Also good for those wearing glasses or contacts, as Citrine improves visual ability. 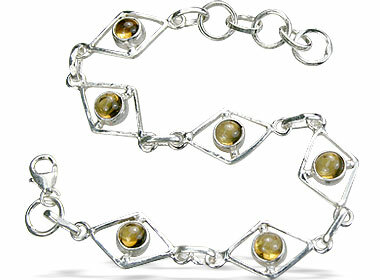 Citrine is found in Brazil, Madagascar, Spain, Uruguay, Scotland, USA (California, Colorado, North Carolina, Georgia, and Nevada) and Russia. 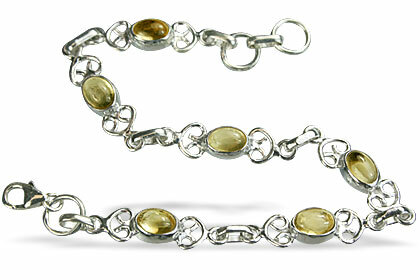 Brazil is the main source of citrine.